Antifreeze coolant wears out over time and loses its protective qualities. This deterioration can cause rust and corrosion throughout your engine cooling system, which may clog the system components and interrupt the proper flow of the coolant. If your vehicle’s cooling system is not serviced regularly, your neglect could lead to expensive repairs. 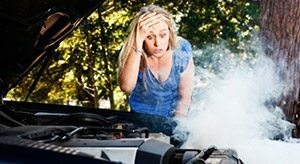 In fact, cooling system problems are the number one reason for breakdowns on the road! Because of this, your cooling system should be serviced at periodic intervals, typically every 30,000 to 60,000 miles. Seeburg Service Center would be happy to help. We provide cooling system flushes and fill services for all car makes and models, and we have the tools and skills needed to properly flush your vehicle’s cooling system. This affordable and quick service will extend your engine’s life and keep you safe on the road. When Should I Have My Cooling System Flushed? To determine when your car’s cooling system should be flushed, check the owner’s manual for the manufacturer’s recommendations. The frequency will depend on a number of factors, including the engine size, vehicle mileage, coolant age, type of coolant, and your area’s climate. Typically, as we mentioned above, your coolant should be flushed every 30,000 to 60,000 miles. If you aren’t sure how often your vehicle needs to have its cooling system flushed, Seeburg Service Center’s automotive experts would be happy to help. What Does a Cooling System Flush Involve? As you might have suspected, during a cooling system flush, one of our mechanics will drain all of the old antifreeze from your cooling system. Then, we will flush out the system to clean it thoroughly and remove any stubborn bits of rust as well as corrosive deposits. Finally, we will refill your cooling system with a mixture of antifreeze and water. 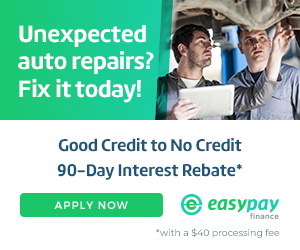 This service is very affordable, and it won’t take long to complete due to our auto technicians’ experience and expertise. Also known as antifreeze, coolant is a liquid that runs through your car’s radiator and cooling system. Typically, the red or green liquid is diluted with water. The coolant performs several important functions within your cooling system: it keeps the water in the radiator and engine from freezing in the winter, it keeps the water from overheating in the summer, it lubricates all of the components of the system, and it prevents the water from rusting and corroding the system’s internal components. If you’re ready to schedule a cooling system flush for your vehicle, contact Seeburg Service Center today. We have been in the auto repair business since 1972, and although we specialize in mufflers and exhaust systems, our expertise extends to all sorts of car repairs and maintenance, including cooling system flushes. Our four auto shops are locally owned and operate in Springfield (MO), Fayetteville (AR), Springdale (AR), and Rogers (AR). To contact our efficient, knowledgeable mechanics, simply give us a call or schedule an appointment online. We look forward to hearing from you!